This Bowling.com exclusive is the perfect single ball tote for your bowling bag and shoes. This is the only bag on the market that features the Bowling.com logo! Bought this for my daughter-in-law and she is very happy with it. My daughter loves these shoes. She uses them both for practice and during her high school bowling matches. She says they are very comfortable bowling shoes. By Dixies Chicks from Moses Lake, Wa. Nice bag, I'm a weekly bowler, the size is good and the construction is fairly reliable. Good deal for the price I only wish the strap could be extended further. Was surprised on how good of a bag this was. To be honest the only reason I bought this bag was it kept my purchase at a certain price point. The bag was for my sister-in-law and she really didn't care if she received a ball and bag; she just wanted really good shoes. My sister-in-law is a very good woman, after buying a bag, ball, and shoes for my brother and nephews my brother and I noticed she wanted shoes. This surprised both of us. Normally she is indifferent to our "activities". So when I bought a plastic ball this bag came up as a discount. I purchased it. It's actually a really good bag. It is perfect for a new bowler, a casual bowler, or a person who doesn't have a lot of money to spend. I'd recommend selecting this bag if you buy a lower cost ball. Want to say the pin on the side is nice looking. I know my sister in law will have this bag for the rest of her life. Good little bag. Enough room for 1 ball and my shoes. I liked this bag, though there was a problem with it. 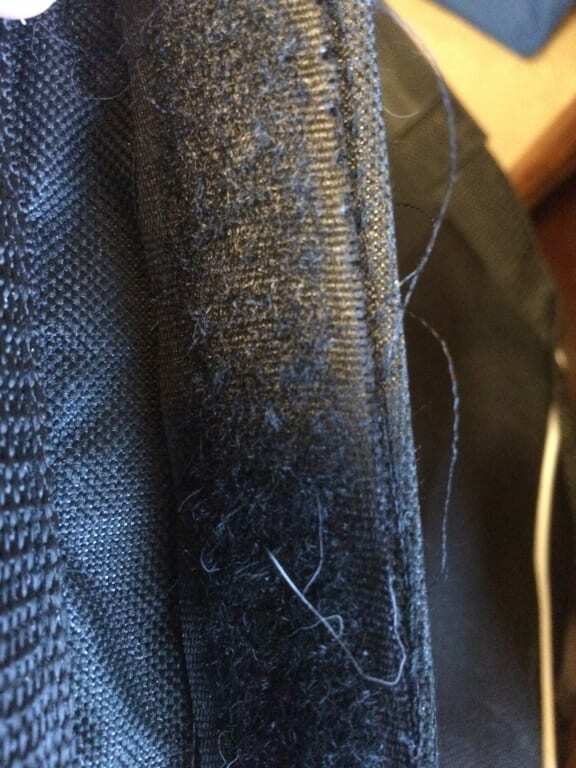 The velcro on the handle either ripped through the thread, or the thread was too close to the edges of it (which what it looks like). 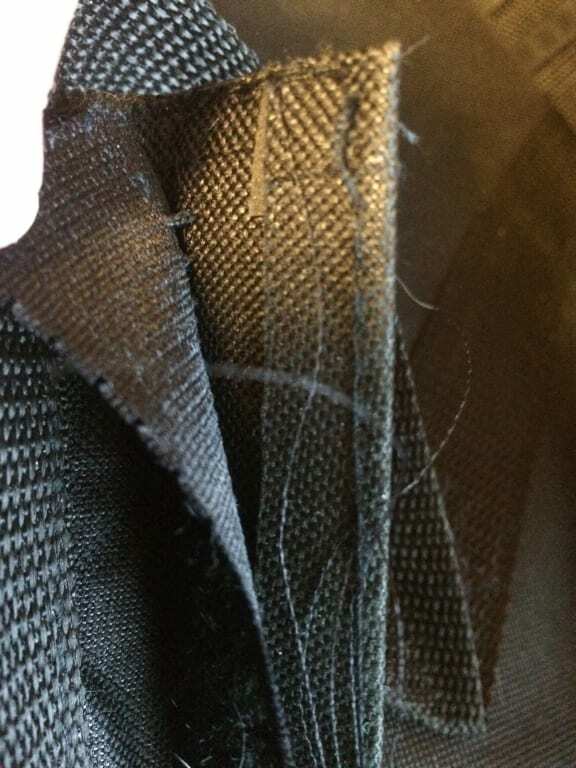 Two edged of velcro are no longer attached. This took 1 week to discover or occur, not sure which, In that time I used it twice. i am sure this is not the case with all bags of this kind, else they wouldn't put their name on it. I think mine might have been a fluke or a sleepy QA run. I've since picked up another bag for my birthday and am using that instead. Since I think it was a fluke i would recommend it to others, though if other comments find the same issues I would suggest seeking a different bag. Cheaply made bag with terrible zippers. Spend the extra money for a quality bag with padding and better zippers. Put my ball in it. Took ball out. Zipper came right off. Is this bag for bowling ball as well as shoes? Hello Sue. This tote can hold one ball and a pair of shoes up to a men's size 13. Is this bag just for shoes? Hello! This tote can hold one ball and a pair of shoes up to a men's size 13. I ordered this along with size 13 shoes... the description says it has a shelf for the shoes but all I see is the foam insert for the ball. Where exactly do the shoes fit and what size ball will fit along side the shoes? When you are looking in the bag without the ball in the bag, feel along the back inner wall. The shelf is a flat piece that acts like a flap and will be flat against the back wall of the bag most of the time. You will lift the shelf up, put the ball in the bag, then sit the shelf back down over the top of the ball so you can put your shoes on top of the ball. Is there a bowling ball cup inside this bag? There will be a foam padded ball cup on the inside of the bag. 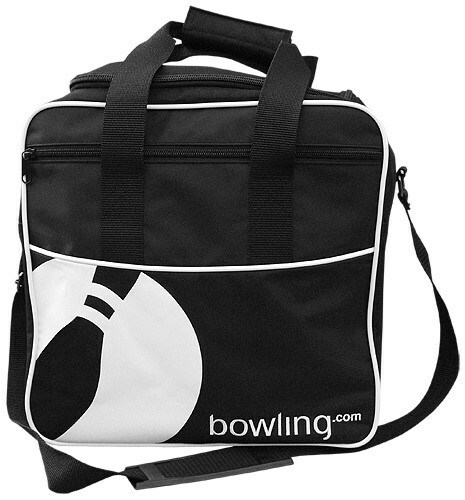 Due to the time it takes to produce the Bowling.com Single Tote Black/White NEW ball it will ship in immediately. We cannot ship this ball outside the United States.